As some of you who follow me at @nandokakimoto already know, last week I participated in the first Coding Dojo from Recife’s .NetArchitects group and it was really great. There, I met some friendly faces and after a short conversation about the Coding Dojo practice, @WaldyrFelix brought the problem of adding Roman numerals. 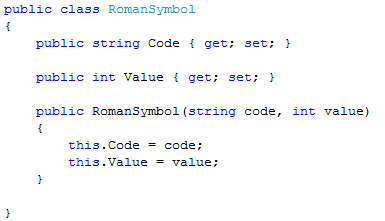 After some discussion about the alternatives, we decided to accomplish the challenge by converting both numbers to decimal, add them and later convert the result back to a Roman representation. In that moment, I didn’t know if it was a clever decision, but we got stuck in some part of the algorithm of adding Romans. Since them, our mission changed to just convert Roman numerals to Decimal. In that occasion, we didn’t complete the solution due to some problems of our paring rotation: every time a different member takes the keyboard, a new solution was created. It happened basically because of our inexperience in the Coding Dojo practice and we discussed it a lot in the end of the event. Do I need to say that I went home with the problem in mind and, of course, thinking in writing the solution for it? I just started writing it today and, I don’t know, 20 minutes later it was done. So I’m here to share my solution with the community and to know the different solutions that each of you guys would write. 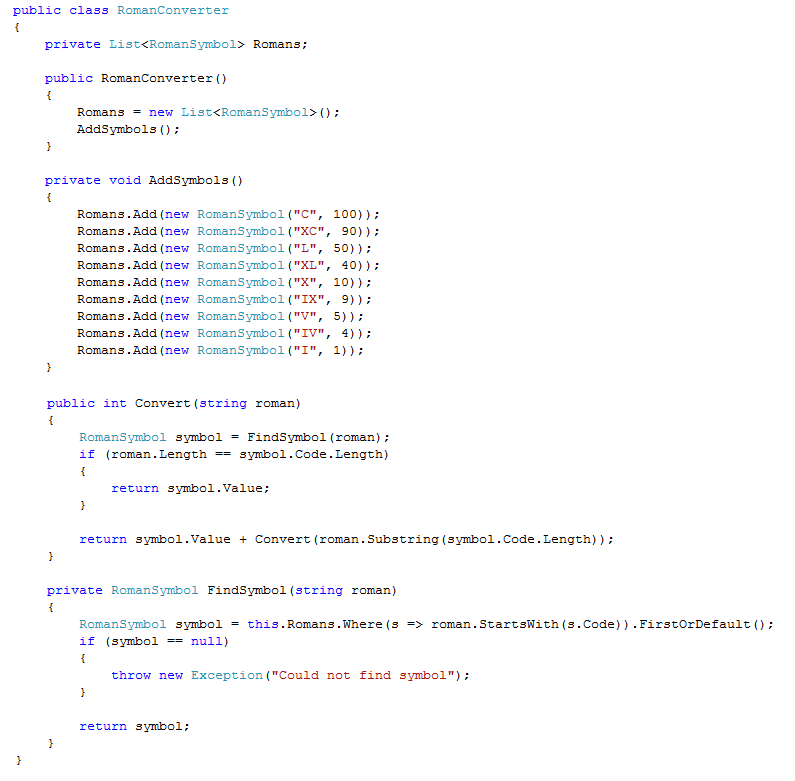 That is my piece of code written in C#. So, that is the result of the first meeting and I am quite anxious for the next one. I’ll try to write down here all the events and problems given to us. If you want to know what kind of problems we are trying to solve at Coding Dojo events here in Recife, just come back here later in the next days.